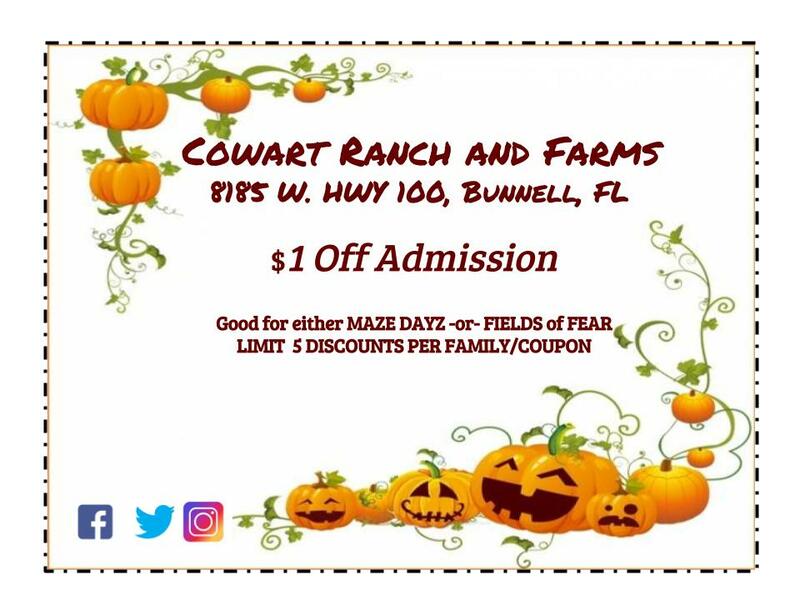 We’re thrilled to invite everyone out for this years Fields of Fear! We are currently looking for volunteers who love the thrill of scaring, acting, costuming, and being around people! Please contact us if you’d like to help! Come out and see us! 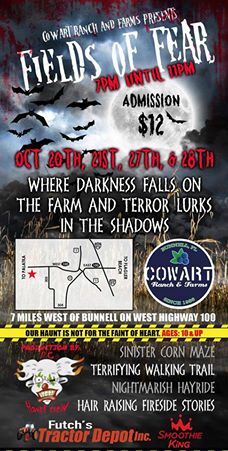 Where darkness falls on the farm and terror lurks in the shadows…. 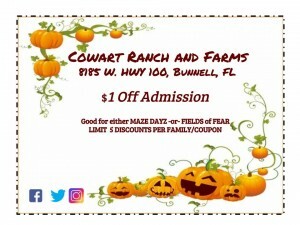 Come experience our hauntingly fun experience! 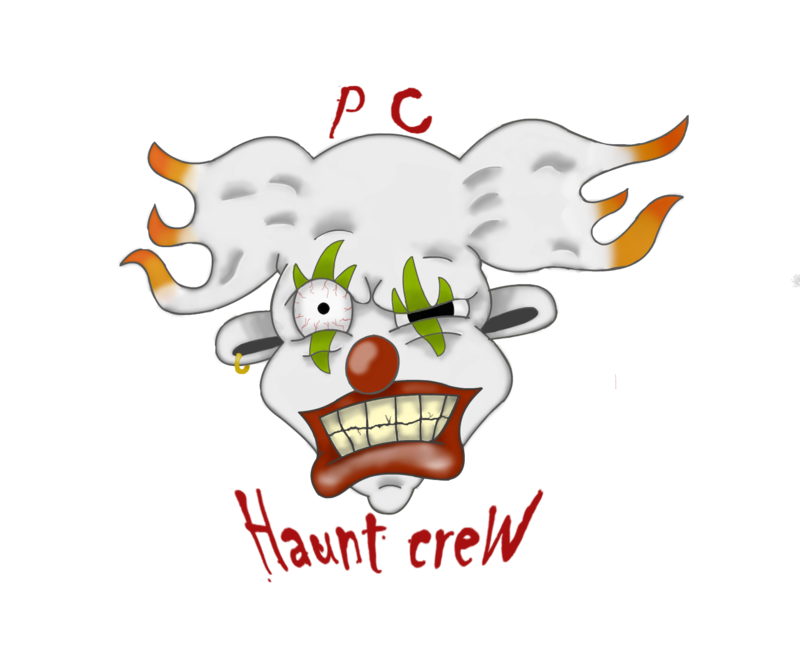 Join us if you dare…..
**Our haunt is rated 10+ Patrons should expect to experience loud noises, strobe lights and periods of total darkness. Combined with creepy creatures and some gory images. Children under the age of 14 MUST be accompanied by an adult. INCLUDING A CHANCE TO WIN FREE TICKETS ! !